The packing department is one of the vital element of order fulfilment for any ecommerce operation. 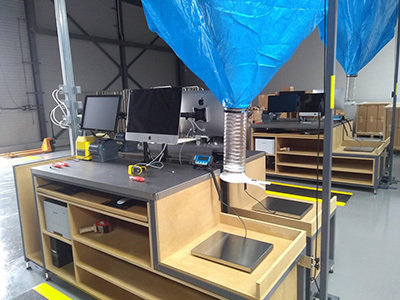 When an order is picked and enters the packing cell, this is the last opportunity to see the product prior to the customers all important “first impression”. Using materials suitable for the product been packed and consistent packing methods. Online retailers can reduce losses & returns, whilst improving company profile. Packing personnel within order fulfilment roles are becoming highly valued and skilled. Ensuring the pack has. The items to the order. The items are of the correct quality. The packaged is packed to a high standard, using a suitable size box. With means to protect the product whilst ensuring the package is as small and light as possible to keep carriage cost down. When multiple products are often placed within a single carton, the packer will make the decision on box size and void fill used. To ensure sufficient protection to protect during transit. They also have to consider packing the items attractively to ensure the customers experience of the seller is as high quality as possible. Given the packer is generally the last person within the business to touch the product before the customer. Along with the pressure of volumes and product / package movement. Investment in the packers environment will pay dividends in increased productivity, increased worker morale and retention. Along with H&S improvements. In the main, larger savings will be made by reducing the movement of the packer. 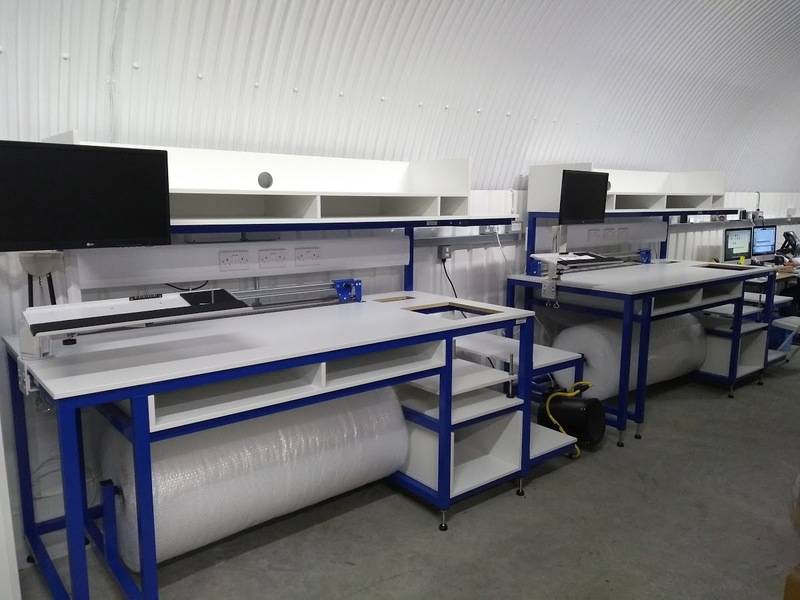 Ensuring they have the tools, packaging , IT equipment & providing a nice working environment. Suitable for the task they are carrying out. With every ecommerce operation having differing requirements. 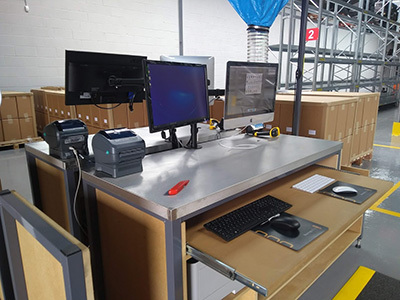 Spaceguard has a wealth of experience for providing Lean, well laid out packing workstations (including waste management, ergonomically positioned IT equipment and integrated weighing) and associated conveyors to help achieve the highest level of productivity possible. Whilst been as flexible as possible for demand peaks and changes in business needs. Everything required to for efficient pick and pack operations.. Require help improving packing cells?